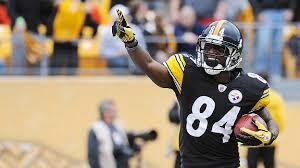 Antonio Brown knows he's the best - he's the consensus #1 wide receiver in most rankings. Here's our staff rankings at the wide receiver position for the 2015 fantasy football draft. Rankings like these are great when used to identify upside players in the middle to late rounds of the draft. It's a great tool because it's easy to spot players that are ranked higher than the average. Do you see a player on the list below that's ranked higher than most? There's probably a reason the analyst is high on them so do some research and post your comments below. We will update all of our draft rankings as needed until the start of the 2015 NFL season. Stats, projections, bye weeks, strength of schedule, auction value and more can be found inside our premium draft cheat sheets. 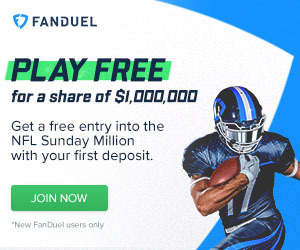 Membership includes access to our DFS optimizer and player tracker too! I changed the rankings up quite a bit, but I tried to really study the top 30. I think my top 7 are the clear tier 1. With that being said Demaryius Thomas and Dez Bryant are the clear top 2 in my mind. Without DeMarco Murray in Dallas I think that will make Dallas lean on the pass a little more and Bryant is a beast, in his prime right now, as is Thomas. Calvin Johnson's big play ability still puts him in the top 5 even though he is getting up in age. I feel that Mike Evans and Jameis Winston could really become a good young duo if Winston can get him the ball. Plus, Evans has a great catch radius and is easy to throw to. He should be Winston's favorite target. For me, the top five guys are just about interchangeable. Brown, Jones, Beckham, Nelson and Bryant are all going to put up star type numbers almost every week. The one note that I would make is that by this time next year, Beckham may be the runaway top choice among receivers. I would even listen to the argument that he already is this year. Jordy Nelson is gone, this is a big blow to Green Bay. Demaryius Thomas gets a bit of a downgrade because I'm not sure how healthy Peyton Manning is. The end of 2014 looked like the tail end of Manning's career so it will be interesting to see how he comes back. Calvin Johnson should be able to muster a top ten season with Golden Tate taking some of the pressure off of him. I like Andre Johnson to have a comeback year with Andrew Luck at the helm, but I still like T.Y. Hilton better. Update:Kelvin Benjamin has torn his ACL and is out for 2015. Get him off your draft boards. Even with RGIII and his questionable skills, I think that Desean Jackson can create enough on his own to warrant a top-30 spot. I like Jackson a bit better with the announcement that Cousins is starting, but this is a volatile situation. Martavis Bryant is an interesting case because he is so touchdown reliant. He should be a real boom or bust type, but when he goes off he could win some matchups on his own. I still love Bryant's big play ability, but wait on him a bit now that he is out for the first four games. Devin Funchess gets a big bump in value now that Benjamin is out for 2015. Draft him alongside high risk-high reward players like Martavis Bryant and Vincent Jackson. Davante Adams is up in my productive-but-questionable range. I like the potential, but he has a lot to prove before moving up more. Torrey Smith is relegated to a fringe starter with his exile to San Francisco. Eddie Royal gets a solid bump in value with the injury to Kevin White. He should see a lot more passes this year with the inexperienced backups on the Bears roster. Markus Wheaton gets a bump in value as he will be the unquestioned starter for the first four weeks. He still has a lot to prove before I'll trust him. Keep an eye on Marvin Jones, he could be worth a stash. I know, he missed all of 2014 but he looked like he was about to break out before injuries struck. Andrew Hawkins should still have some value in PPR leagues after the Browns inexplicably did not address the wide receiver position in the offseason. Kevin White has a stress fracture that will require potentially season-ending surgery. As of now, I would probably avoid him in drafts. I probably have Beckham ranked lower than most but it's for good reasons. Cruz will be back in the fold at 100 percent, defenses have a year of footage to use against him and there's no way I'm chasing his ridiculous stats from last year. Final word of wisdom is don't sleep on Fitzgerald in the 2015 draft. He's a solid WR2 when Palmer is in the pocket and the only reason I ranked him as a WR3 is due to Palmer's injury history.